So, I promised a new giveaway and today is the day! 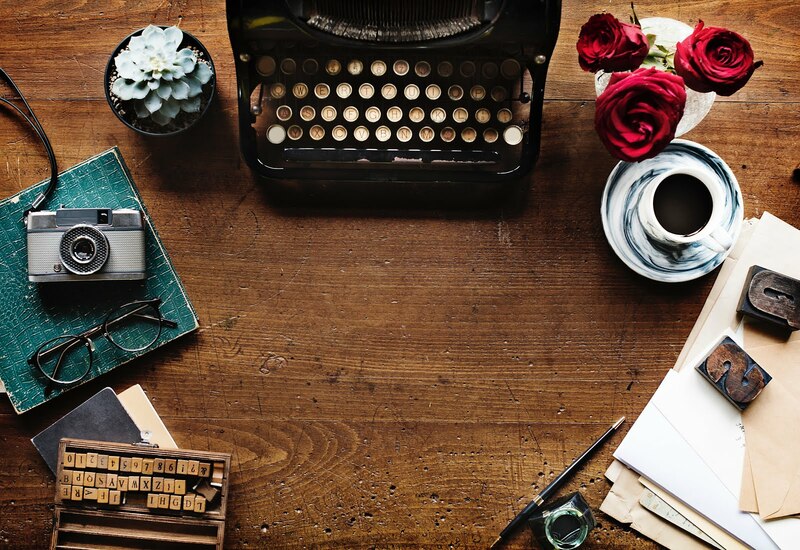 I was doing some blog hopping one day and came across what I thought was a great idea. An idea that I wished I had come up with myself. Alas, those clever people over at Fusionbrands had the idea long ago. Introducing, the CupCooley. It's a reusable silicone cup cozy! No more burned fingers when the drive thru gal at McDonald's hands you your morning java. And, I don't know if anyone else has this problem, but even with those practically useless paper sleeves, the cup still tends to want to slip out of my hand. Not so great when hot coffee is involved. 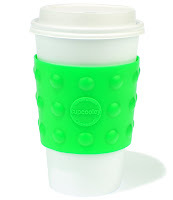 Since the CupCooley is made of silicone, it's grippy, so spills are a thing of the past. And it still fit in my car's cup holder. The best part is that you get to feel great doing your part for the environment by not using that paper sleeve. Just think of all the paper that could be saved if everyone handed over a CupCooley when they ordered their Starbucks dark chocolate raspberry mocha frappuccino in the mornings. Sure, it's a small step, but all those small steps accumulate and make a difference. And who knows, maybe you can score a free cup of coffee by bringing in your own sleeve! I have to add that customer service is a deal breaker for me. How I am treated when I enter an establishment or click over to a website is key. It determines whether I stay and spend money or walk away. The people over at fusionbrands focus on customer service. When I sent an email to their customer care department, I was impressed with how quickly they got back to me and how they graciously they handled the situation that I was inquiring about. Hello - Major brownie points. And not only that, but the video vignettes they have of each product are entertaining. They are worth clicking over for. My youngest son kept asking me to replay the video of the foodloop flame. His eyes lit up over and over again with the combination of music and fire. The Calm One is always amused when I hand him a list of things that I want for Christmas or my birthday. It's not that I don't trust him to give me good gifts, I just figure that if I don't let him know what I want upfront, I won't be getting what I want. With that in mind, I have added three things from fusionbrands to my wish list: the tenderpress, the foodloop and the cookhook. But, back to the CupCooley, I love mine so much that the generous Powers That Be over at fusionbrands have sent on over two green CupCooleys for me to give away, and boy am I excited about that. I hope you are too. All you have to do is click on over to the fusionbrand site watch their vignettes and then come back here and tell me which video was your favorite or which product you'd put on your wish list. That's it! If you want extra entries, then you can do any or all of the following: subscribe to my RSS feed, post about this giveaway on your blog (don't forget to link back here so your readers can find the giveaway easily), or you can put my button on your sidebar (Just scroll down my sidebar and you'll find the code). Be sure to leave a separate comment for each. Like Michael would say, "Easy peasy, lemon squeezy!" This giveaway is for US residents only, thank you. I'll be drawing two winners a week from this Friday - Oct 31st coincidentally enough. No tricks here, dear reader, just treats! I want the Love Handle. I need the Love Handle (which seems cruel since I have some of my own). But last year I asked for cheap cookware for Christmas and it is great - except the handles get hot. Great videos. Those people are genius. This site is really cool. And I actually added the cookhook and the lovehandle to my wish list. And I subscribe to your feed via Google too! Oh my word those are cool! I like the hand tongs, the vertical icecube tray and the love handle. I could use a tender press. Though, I'm sure my hubby would say we need the Love Handle since I'm always letting my toddler cook with me and my hubby worries he'll burn his little hands. Dear Readers of note have said . . . I recognize that all my blessings come from my Heavenly Father. I want to be sure to give Him joyful praise for who He is. On this journey with me: The Cruise Director (17), The Affectionate One (15) and Whirling Dervish (14). That's right, all teenagers. Chocolate, prayers and lots of cherry coke appreciated. Men, whether great or small, are still but men, and men are dust. To trust in the many is folly, to rely upon the eminent few is madness; to depend upon the Lord alone is the only sanity.